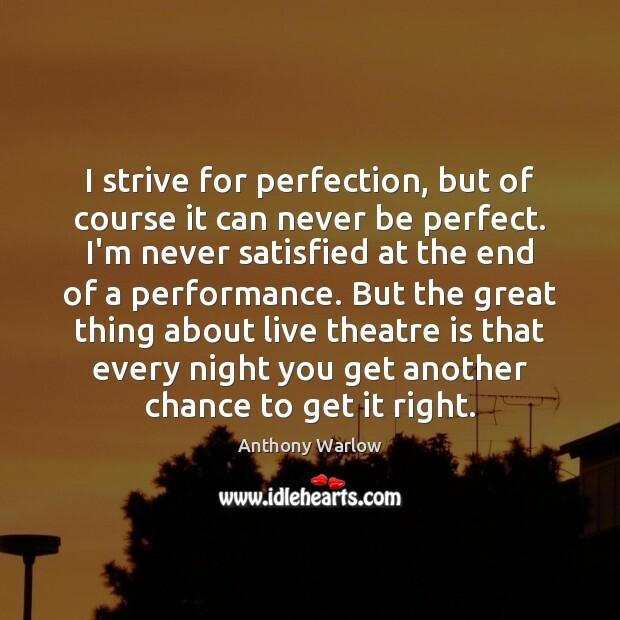 Enjoy the best inspirational, motivational, positive, funny and famous quotes by Anthony Warlow. Use words and picture quotations to push forward and inspire you keep going in life! It made me a household name, but nothing comes for nothing. 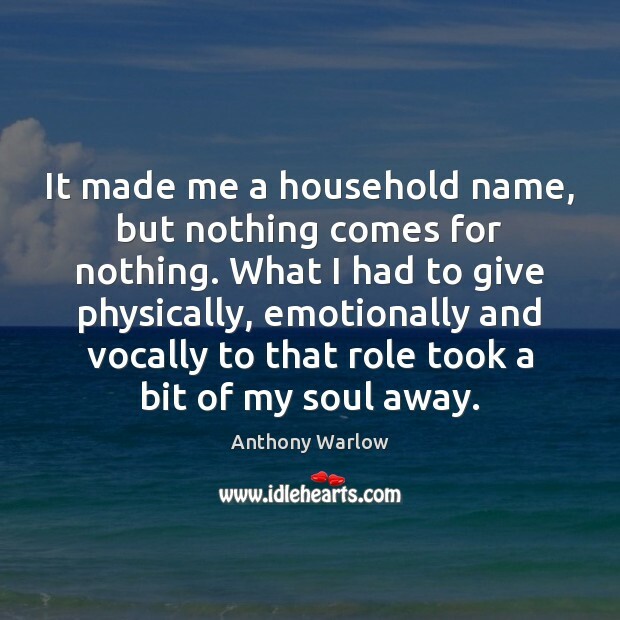 What I had to give physically, emotionally and vocally to that role took a bit of my soul away. I strive for perfection, but of course it can never be perfect. I'm never satisfied at the end of a performance. But the great thing about live theatre is that every night you get another chance to get it right.